I have been doing trials for dog biscuits and it is picking up pace wherein our clients have started ordering them. However, I wish to make it more attractive with icing them...including muffins and cakes. Hung yoghurt beaten with some creme cheese is what I have tried and it went down well with the dogs...however I am looking at more icing options which can be stored for at least a week. Also, in case of biscuits, I am not sure if the same can be used since I need something that's stiff and sticks to the biscuits well at the same time retains the colors. I would be very grateful if you can share more ideas and tips with me mainly looking at the climatic conditions in Mumbai, India which may help in having a greater shelf life for my bakery items. Bhavini, thank you for your question. 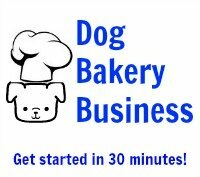 We suggest you take a look at K9Cakery.com's Fido's Frosting brand of dog treat icing and dog treat frosting. This product was developed specifically for dog treats. It is all natural yogurt based, sugar free, and will not melt so you can ship your treats anywhere. It dries hard and takes color well. It does not require refrigeration. Use the royal icing on biscuits for coating, dipping or drizzling. The frosting is best for spreading on cakes, or for piping from a pastry bag. We refer you to two YouTube channels: "FrostingFran" and "TheFrostingGuy" where you can find videos showing how to use this yogurt icing and finished products. By the way, there is a dog bakery in India called The Spoilt Brat. We think they are in Mumbai! I did try K9 cakery and they do have the best products exactly the way i want...however the transportation cost to India is a big problem since its very expensive! Can you suggest something else? Dog Treat Icing Expert: Hi Bhavini. I just called K9Cakery for you. They said they use the postal service for international shipping and cost depends on weight of the shipment. Do you have anyone coming over to the US who can purchase the product and bring it back? Or, is it possible to partner with Yadika for a large order to benefit you both? 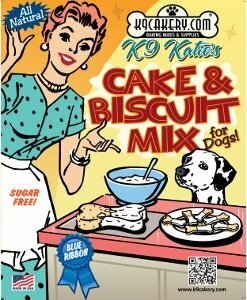 I know some of K9Cakery products are now sold on Amazon.com and Petsmart.com but I do not know if there is international shipping. You may wish to look into it. Thanks for your valuable suggestions. Would like to know more about the product you recommended and its pricing, dispatch mechanism, etc. to India. Yes, The Spoilt Brat barkery is run by Yadika Sharma whom I know personally. She too is aware about my new venture. :-) A very sweet lady and an amazing human being!